Dr. George Sefa Dei is the co-winner of the EdCan Network’s 2016 Whitworth Award for Career Education Research Excellence, awarded in recognition of his profound impact on the development of equitable and inclusive schooling in Canada. 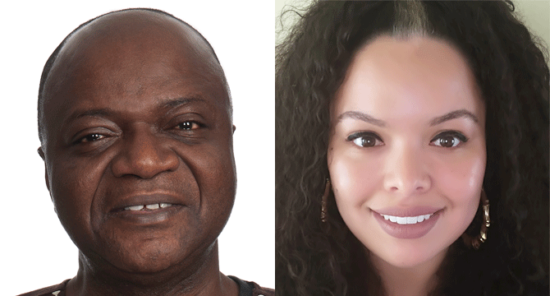 For this article, he spoke with his student and colleague Andrea Vásquez Jiménez about the fundamental understandings that are required in order to move forward with transformative anti-racism work. George J. Sefa Dei: What you have brought up is very important. I think the whole idea of, “It’s racism that makes race real” is to counter the argument that somehow race is meaningless, it lacks scientific status, and therefore we have to move away from it. We need to recognize that the only reason we are talking about race, is because racism is the problem – so we need to look to solve it, we need to address it. Racism works the hierarchy of race, so it is very hypocritical to argue to move away from race, when we haven’t dealt with the problem of racism. I think it also speaks to the fact that we cannot simply spend all our time theorizing race. We need to address the problem of racism, and we only address the problem of racism if we understand how race continues to be of material and political significance in our societies. I think it also speaks to the question of theory and practice. It is one thing to talk rhetorically about, “This is a problem and we don’t know what it means.” Well if you don’t know what race means, you know racism when you see it, so let’s work on that, let’s address it. Andrea Vásquez Jiménez: You have stated that first and foremost there must be a sincere recognition and acknowledgement that racism and also, as an extension, anti-Black racism, exists in our everyday lives and that it permeates all spaces, including our classrooms, schools and school boards. We must not get caught up in being colour-evasive, and must recognize how racism, including anti-Black racism, impacts our students, teachers, administrators, caretakers, trustees, etc. It appears in multiple ways, such as the eurocentric curriculum and the mainly eurocentric faces on the pictures of the walls of our classrooms and schools. It is seen when mostly students who are Black, Indigenous and people of colour (BIPOC) are streamed into courses that are not academic, when students are disproportionately receiving detentions, suspensions, and expulsions, and when they are disproportionately negatively impacted by police presence in schools (School Resource Officers) – yet their voices are often ignored, dismissed and even silenced. Even if you have the luxury to never have experienced racism yourself, believe those who state they have, and understand that this is a systemic issue. Schools and classrooms must be committed to address these issues. We must not only have courageous and bold conversations, but also link that talk to calls-to-action. Moving forward with fundamentals to create, support and sustain transformative anti-racist work and change, can you explain what you call the “integrative anti-racism lens” and the “saliency of Blackness”? How can these concepts inform policies and practices at the school board level and the everyday classroom? George J. Sefa Dei: The term integrative anti-racism comes from the argument and fact that no one is one thing. Our identities are not just all about race, just as we are not all about class, gender, sexuality, (dis)ability, etc. In order to understand the full effects of race, we have to see how race intersects with other forms of differences. Talking about intersections is necessary. This is the integrative lens and that’s where the integrative anti-racism is coming from. In the discourse of anti-racism it is important to talk about the integrativeness, but also to recognize the saliency of Blackness. It speaks to the fact that there’s a hypervisibility of Blackness, and that Blackness is consequential. That Blackness, when it is seen as transgressive, is punished, and that Blackness is coded for punishment, just as whiteness is for privilege and power. While we talk about the intersections, let us know that there are aspects of race and racism that also speak about the saliency. Regarding the relevance of this for school board policy and classroom practice, it signifies that school boards need policies that take up these intersections and look at the integrative nature of oppressions. For example, homophobia, transphobia, sexism, ableism, racism, heteropatriarchy, etc. are all integrated in powerful ways, so we need to have a policy that deals with the integrative aspect of that. Just as important, school board policies need to target these specific sites. School board policies shouldn’t address just one or the other. Policies and practices need to work with the integrative nature or dimensions of oppressions but at the same time target the specificity of oppressions, so racism, anti-Black racism, sexism, homophobia, transphobia, Islamophobia and so forth can be addressed. Just as board policies should deal with both the integrative nature and specificities of oppressions, classroom practitioners also need to teach about how our oppressions intersect, and the simultaneity of those oppressions. They need to be aware that although oppression comes in many forms, they are not equal in their consequences, and we must address this in the classrooms. Andrea Vásquez Jiménez: So this is another fundamental for anti-racist work to flourish: acknowledging that all of us are not just one identity as you mentioned. Being aware that we have different identities that intersect, while acknowledging the importance of skin colour and that not all identities are fluid. For instance, Blackness is a permanent marker and this creates a distinction in how anti-Black racism impacts people. Therefore, the act of naming and differentiating racism and anti-Black racism is vital to this work. In your recent book, Reframing Blackness and Black Solidarities through Anti-Colonial and Decolonial Prisms [Springer Publishing, New York, 2017] you make a distinction between a “Black-white binary” and a “Black-white paradigm.” Can you elaborate a bit on these, and explain why this is a useful distinction? George J. Sefa Dei: It builds on some of the works of people like Andrea Smith, Sexton, Johnson, and there are other people who have talked about the question of the Black-white prism and binaries. I don’t think we can get into this simplified reading of our world in strictly Black and white terms. It is important to move away from dichotomous thinking, which is itself a part of eurocentric thinking, but how do we move away from that? When considering the fluidity of identity, we must not lose sight of the saliency of Blackness. The Black-white prism allows us to grasp that; it signifies how different gradations of skin colour have meaning. So while I want to move away from the Black-white binary or Black-white dualism, I want to hang onto the Black-white prism, because it allows us to talk about the hypervisibility, permanence, and saliency of Blackness. The Black-white prism is very important because it is a recognition and lens into how our society is organized, and acknowledges, as people like Da Silva have said, that close proximity to whiteness is rewarded in our society. As such, it is given privileges and currency. It speaks to how certain bodies are read, and based on that reading are accorded privileges and/or punishments. Sometimes, even Black bodies are seduced, and there are critical white scholars who speak about this, they can be seduced by whiteness, seduced by the attraction of whiteness. While keeping in mind that multiple sites of oppression and multiple sites of privilege exist, we need to recognize and acknowledge the position of the colonial dominant, the position of privilege and power and how it’s accorded on different bodies. Andrea Vásquez Jiménez: As a light skinned Afro-Latina, I definitely can attest to this. My experiences are not the same, and won’t ever be the same as any other person from the African diaspora, including Afro-Latinxs* whose skin marker is Black. In a white supremacist society, my skin colour being closer to white brings me automatic rewards and privileges and we must be conscious of this. We must be aware that because of white supremacy, BIPOC folks can also internalize racism and invest into whiteness in multiple forms. As you mentioned though, we must never disregard the reality of white privilege and the colonial dominant. For anti-racism work we all must be aware of our own privileges, and not only how we are implicated in, but also how we are complicit into a system that we reap benefits from – and then consciously and continuously divest from it. Lastly, now that we have these few fundamentals as a primer – definitely not an exhaustive list – can you speak about the dangers when people within the educational system do not recognize the importance of anti-racist work or dilute it by merely giving it lip service? George J. Sefa Dei: Some of the lip service around anti-racism is where people: 1) don’t work with the notion of the saliency, 2) don’t work with the variations and intensities of oppressions for different groups, and 3) don’t address the severity of issues for certain bodies. Anti-racism needs to work with, and address, the above three. I think to me, anti-racism has to move from rhetoric to action. Anti-racism is about critiquing the state, colonialism, structures, power and privilege, and how they play out in society. When anti-racism practice fails to centre these questions, it becomes a problem, and people become cynical of anti-racism. * The “x” in Latinx makes it inclusive to gender nonconforming, gender non-binary, and gender fluid peoples, instead of the gender-binary Latino, Latina and Latin@ (Scharron-Del Rio & Aja, 2015).